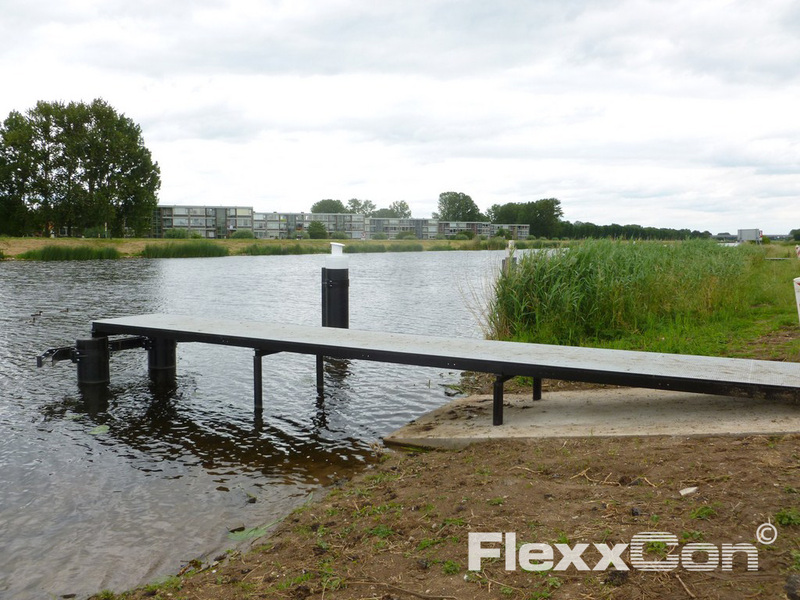 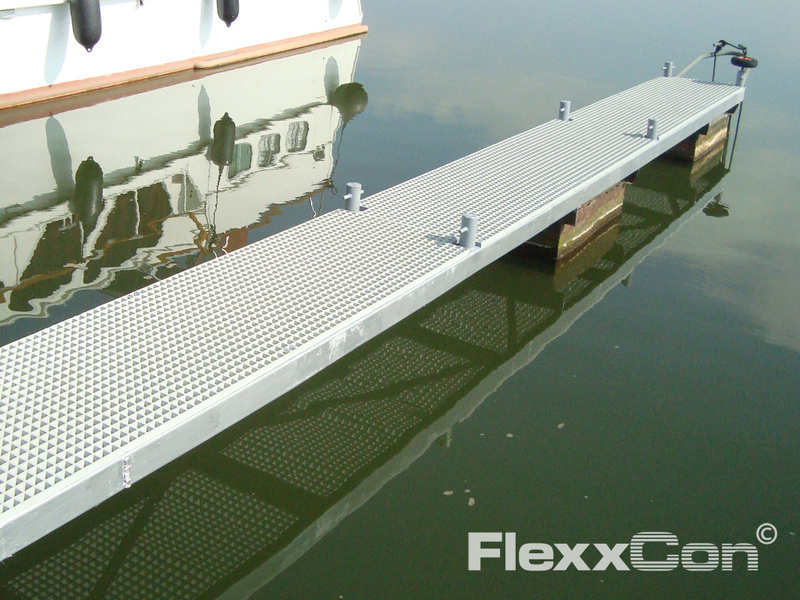 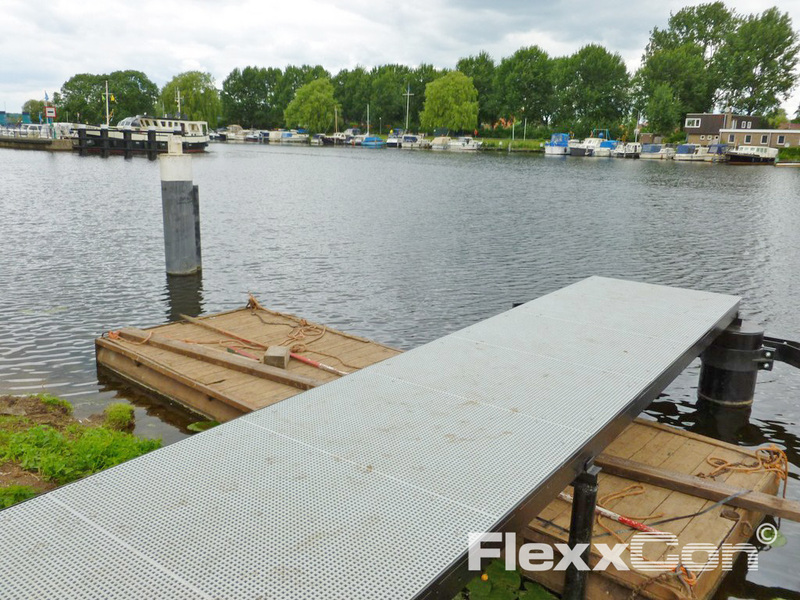 FlexxCon is a supplier of Fibreglass Reinforced Plastic jetties, Fiber Reinforced Plastic walkways and staircases, jetties, finger piers and other mooring facilities for the layout of harbours, etc. 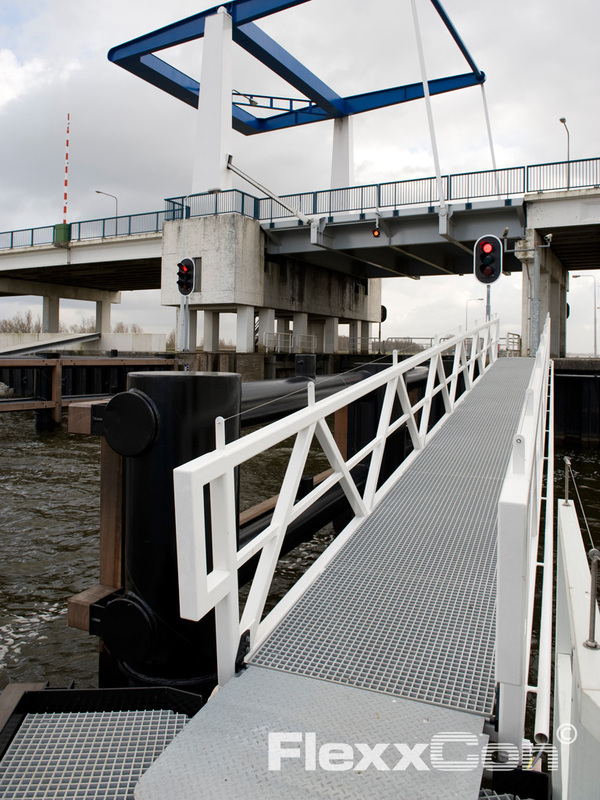 marinas and civil engineering. 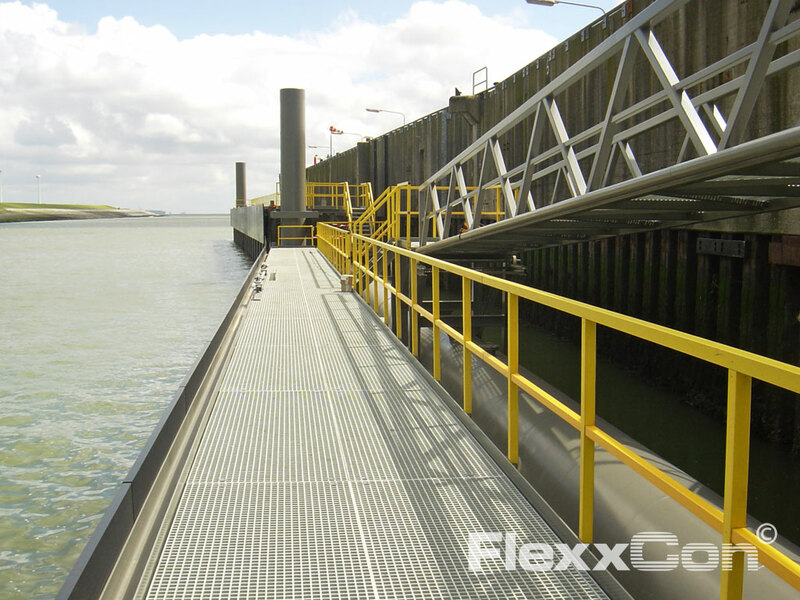 FlexxCon supplies Fibreglass Reinforced Plastic grating for application in jetties, walkways, piers, finger piers and mooring facilities. 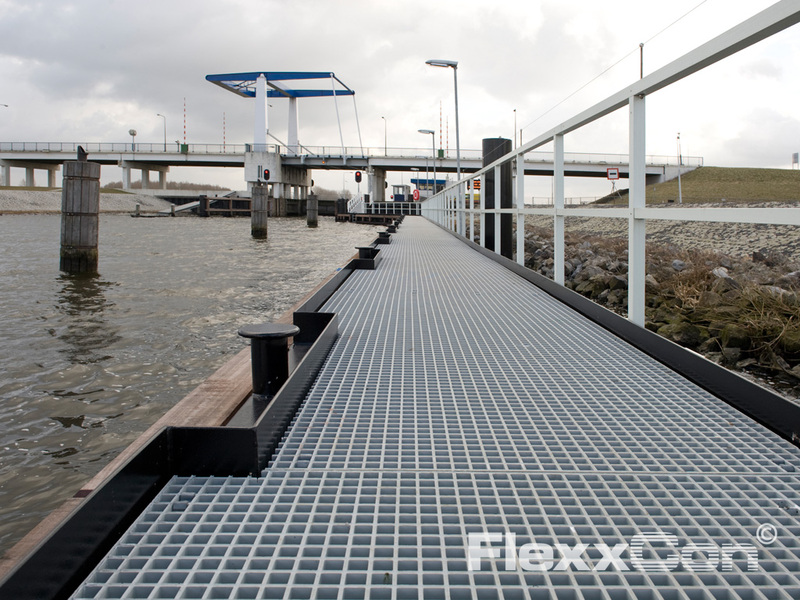 FRP is high-strength, weatherproof, low-maintenance, it has a long service life and good anti-slip properties. 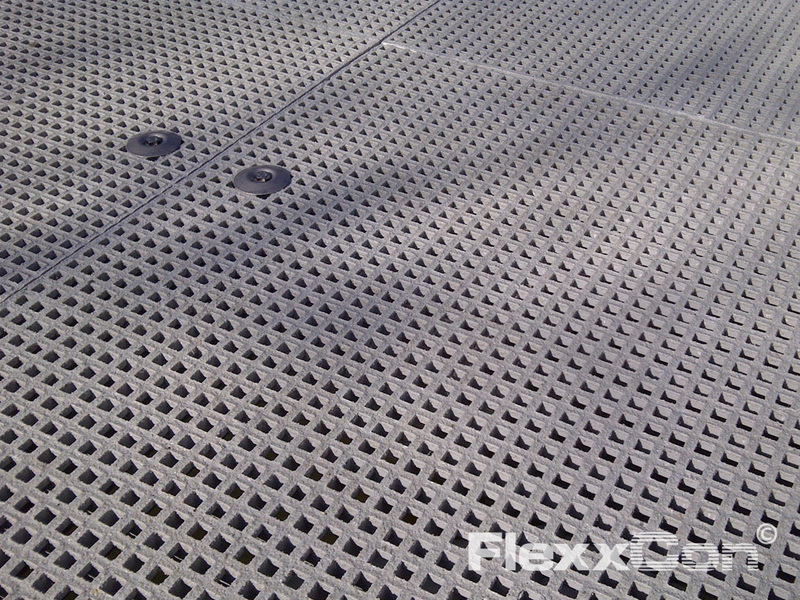 Furthermore, Fiber Reinforced Plastic grating is easily, flexibly and quickly processed and installed. 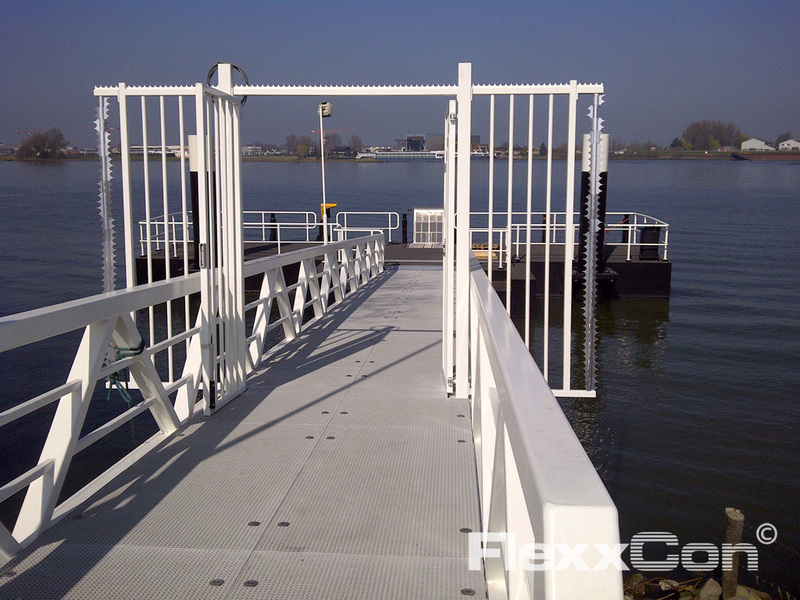 Wood, steel and stainless steel are much used materials for the construction of jetties, etc. 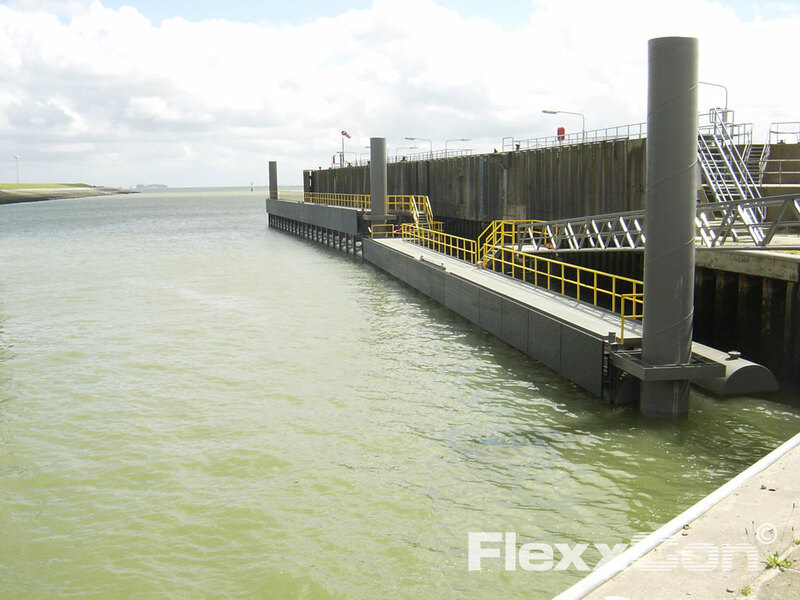 in harbours and marinas. 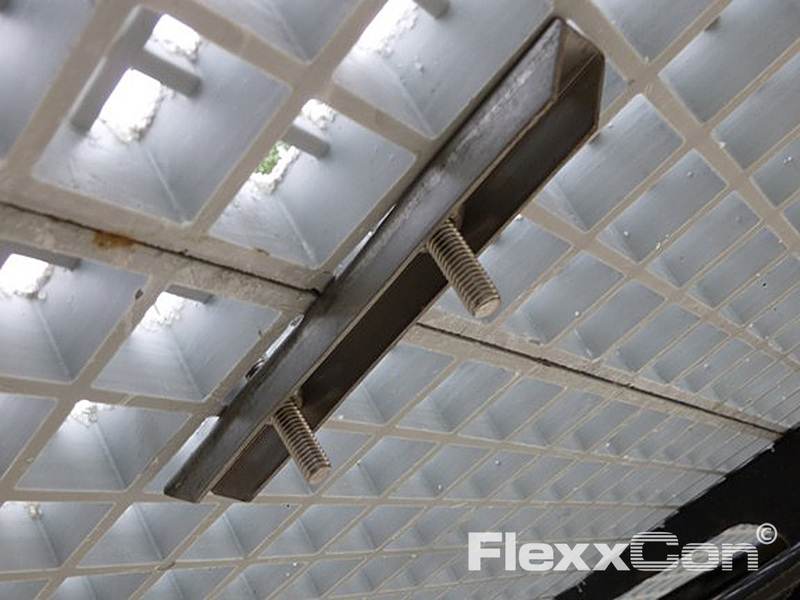 Use of these more traditional materials means that rust and rot are inevitable in the long run. 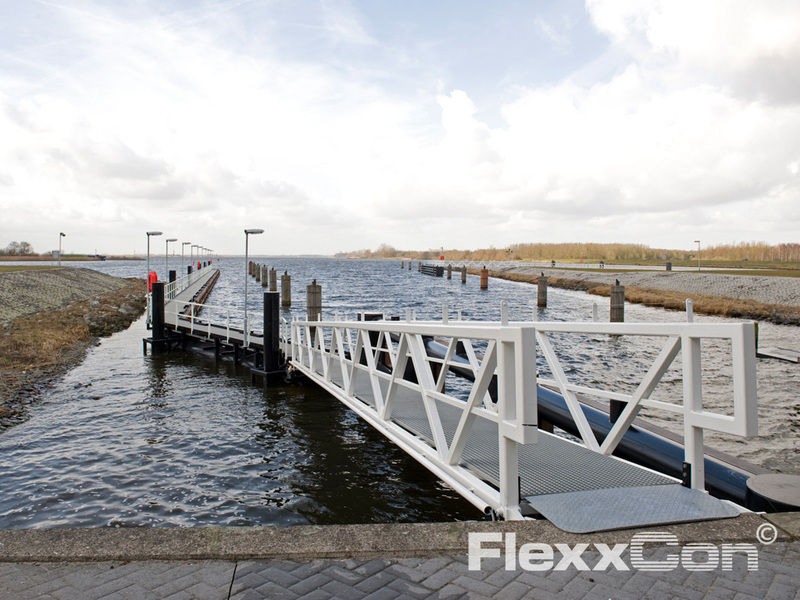 This can lead to dangerous situations, which means that frequent maintenance is essential. 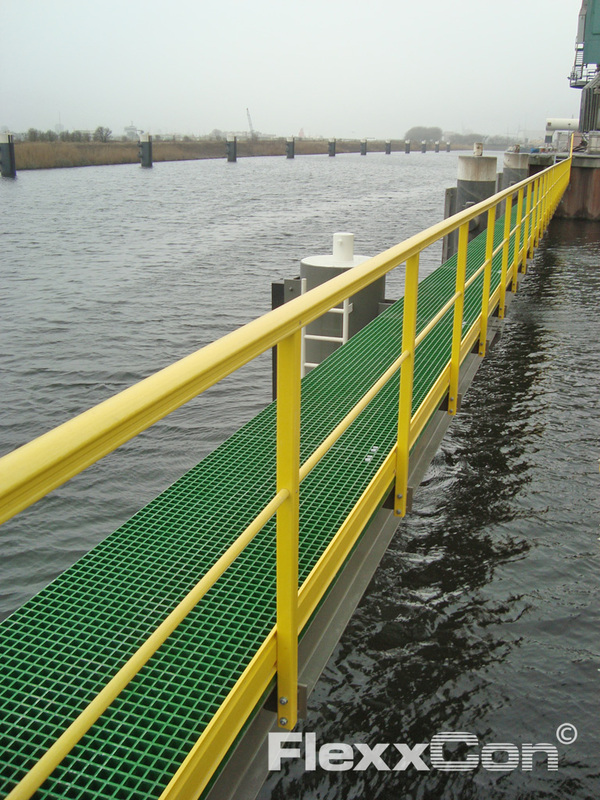 The use of Fiber Reinforced Plastic is a high-quality alternative for many applications. 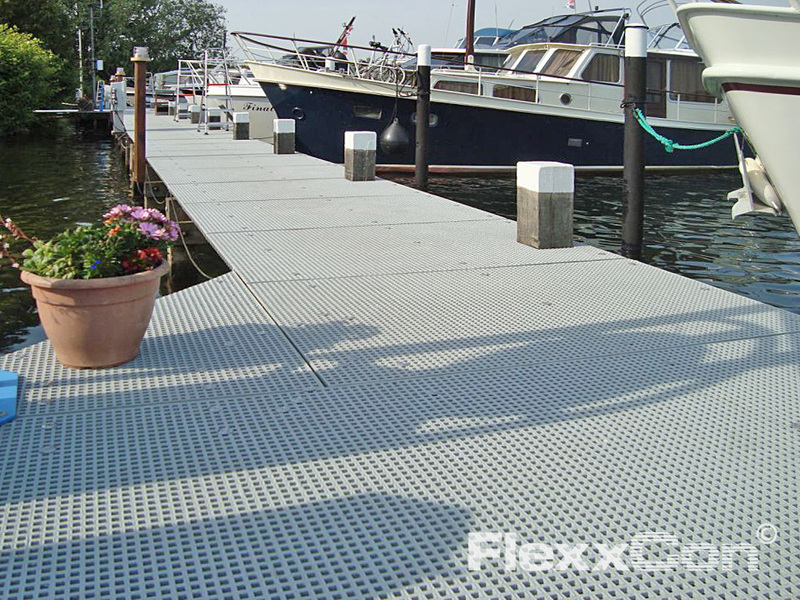 The leisure sector can also benefit well from the advantages of FRP. 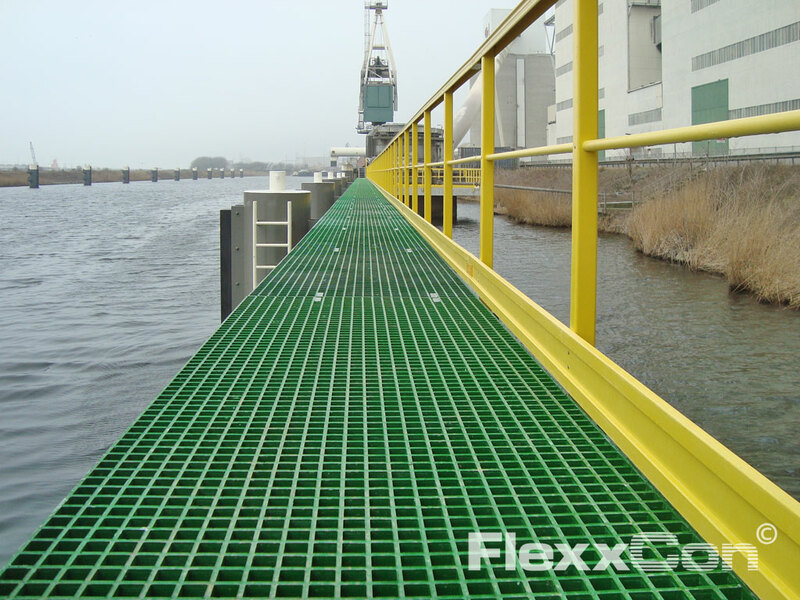 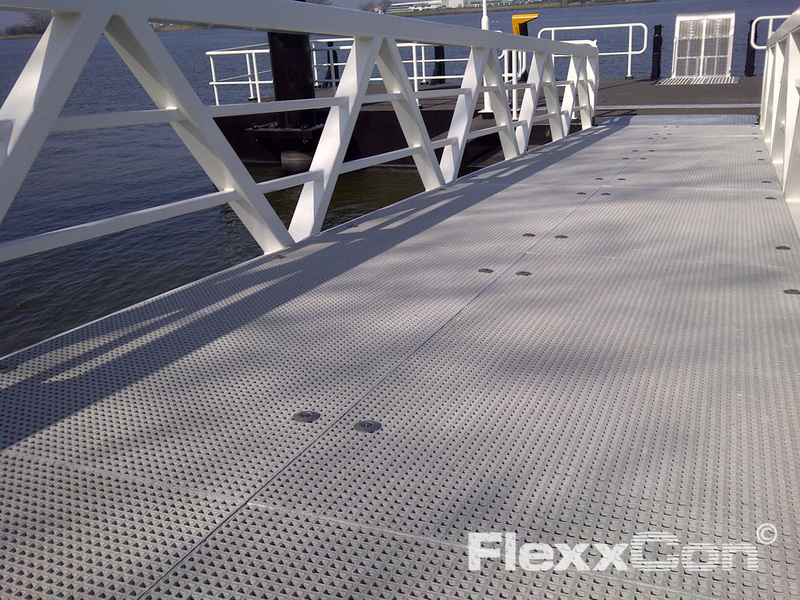 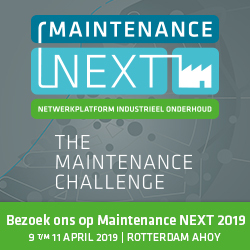 Please call FlexxCon: +31 (0)33 455 66 96 for further information on, or to order FRP grating, FRP staircases and Fiber Reinforced Plastic walkways for piers and marinas.